I have a question for you. How do you clear your head? What works for you? 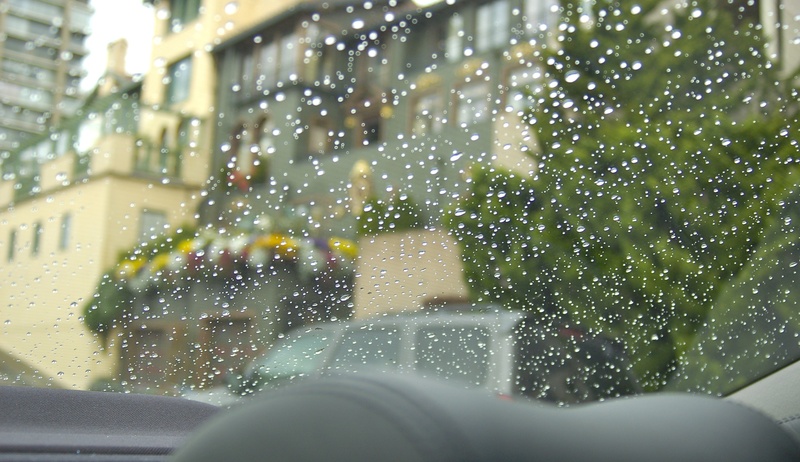 Sometimes my vision get clouded and obscured like the windshield on my car in the Header Photo of this blog. Correction, I have changed this blog’s theme and Header Photo about 5 times, so here is the photo I referenced. I took that photo from the backseat on a quick day trip to SF. We wanted to take a visitor from Africa to the city and that rainy day was our only option. San Francisco, by the way, looks just as good in the rain. I’m thankful though for the windshield wipers that make it easier to read street signs and get where you’re going. Sometimes I wish life came with windshield wipers to help clarify the road ahead and make the important signs easier to read. I found that even a brief exposure to The Great Outdoors can generate clarity. We just returned from a few days in the Sierras and I feel deep down refreshed and refocused. The sound of wind in tall pines, a completely non-manmade sound, felt like it blew through me not just around me. It makes the aspen leaves quake, but it made me go still. The craggy skyline of pine and fir draped like a shawl over the shoulders of those mountains pulled my eyes up from the low horizon and helped me see some things through a wider lens. I didn’t go to the mountains looking for clarity, but I’m glad I discovered it when I got there. So, fellow bloggers and friends, I’m wondering what helps you clear your head? What do you do purposely to gain clarity? Or have you happily stumbled on it like I did? Driving home today a line of Psalm 95 came to mind. For the LORD is the great God the great King above all gods. There are different things that clear my head at different seasons in my life. But the one constant is being in the water… specifically, swimming under water. Not too deep as I see no need to be further under water than my own height. It can be any type of water except for a swimming hole in the mountains….snakes live in the water there! EWWW! But that is what clears my head – the quiet, the lack of sensation other than my body moving through the water, the freshness I feel (even in a place like Folsom lake). I am never melancholy in or on the water. I hear the Lord’s voice and feel His presence there. Even if I am with friends – I can still find solace in or near the water…. so there you go! You’re right about the soothing properties of water. Swimming underwater is like hitting the mute button on life. It lets me hear my own breathing; and concentrating on sensation gives my mind a chance for a little down time from thinking. I used to love swimming in Shasta Lake, but a close encounter with a Sturgeon changed that forever. Come visit and we’ll jump in the deep end together. Mundane household chores helps clear my head! Love this reminder of how Great our God is and how much He loves us! If I say thanks Sis, will other readers think I paid you to comment?